Free and Devialet: introducing Freebox Delta, a new era in home theater. Free | Devialet Powerful. Immersive. Award-winning entertainment deserves nothing less than award-winning sound. Driven by this belief, Devialet – the world’s most critically acclaimed company for audio innovations – and Free – the French giant behind triple-play technology – are coming together to revolutionize your viewing experience. Introducing Freebox Delta, a new era in home theater. What if you did more than just watch and listen? What if you could be part of the action? Designed for spectacular immersion, the new Freebox features a Devialet-invented sound system – the first pure and powerful enough to rival every sensation of 5.1 home theater. With 6 loudspeakers, including three custom-engineered Devialet woofers for greater depth and physical impact, every scene and tune feels phenomenal. Experience big-screen emotion in its most compact form. Connect to all your favorite online services, hands-free. Including in-app streaming from Spotify Connect. Whether you want to play music, explore new artists or control the volume, just ask Alexa. She’s all ears. Home cinema, wireless speaker, voice assistant… All your entertainment needs, seamlessly handled. Explore the bigger picture. The latest Devialet sound technologies are here. 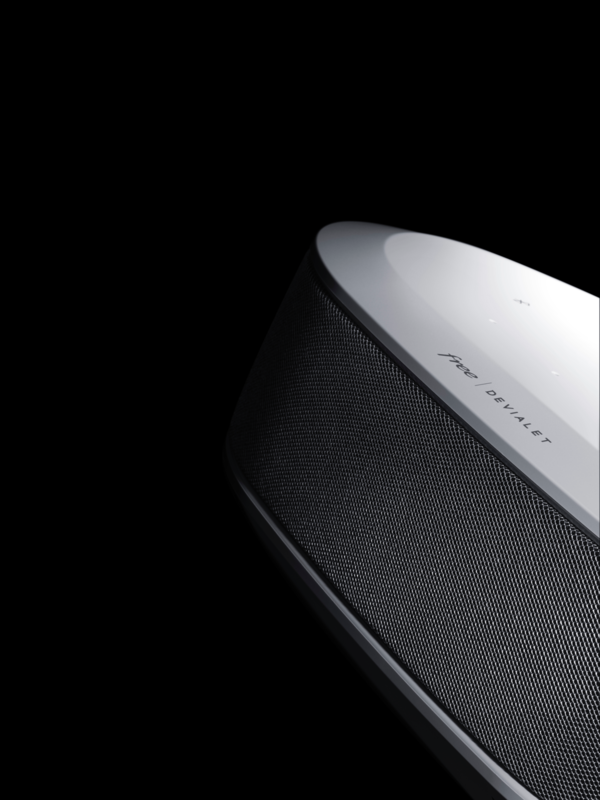 Rich and balanced sound with room-wide diffusion. Immerse yourself in the action – all 360° of it. Movie night. Minus the remote. Adaptive Volume Level™ automatically detects and adjusts volume between scenes. Your only job? Making sure you’re sitting comfortably. Every performance, just as it was meant. Invented for absolute fidelity, Speaker Active Matching® ensures Freebox Delta’s loudspeakers perform at their best. So every one of your favorite performances comes through at its truest. Freebox Delta is part of Devialet’s longstanding vision: bringing the depth of emotion of high-fidelity sound to as many of you as we can – one breakthrough technology at a time. Free subscribers in France will be able to enjoy Devialet-designed speakers and technologies in their home from December 2018.